While the cruise industry has been reporting on Princess cruise ship Crown Princess with its dozens of passengers and crew falling ill over the last few days, It’s now being reported that Royal Caribbean Grandeur of the Seas has been hit with another possible Norovirus outbreak. 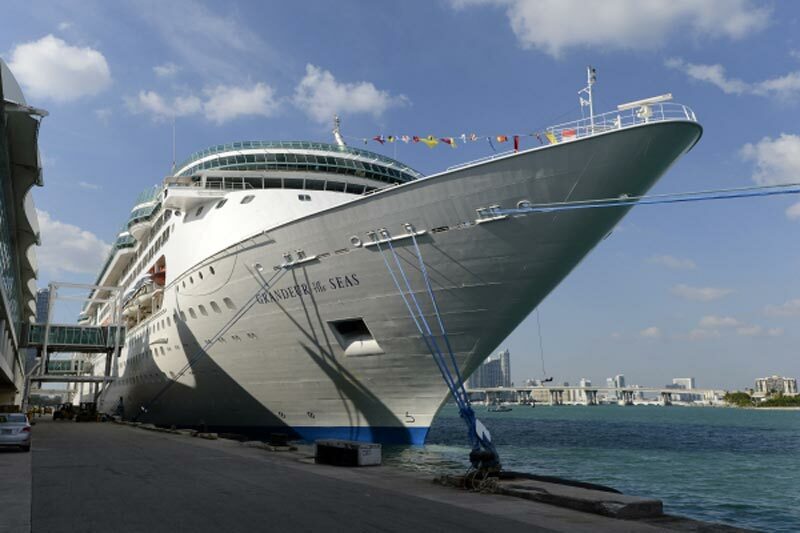 Grandeur of the Seas has just completed its 7-day cruise from Baltimore, Maryland which began on April 5th 2014. The Center for Disease Control has announced that 97 passengers out of 2,120 had reported being sick. Also 8 crew members out of 808 had got the Gastrointestinal illness which causes vomiting and diarrhea. The ship also had an outbreak on the previous cruise from March 28th to April 5th, 2014. As a result of the recent outbreak the ship’s crew have had to do a lot more sanitizing and cleaning throughout the entire vessel. The CDC also sent a person to investigate further and make sure all procedures are being followed. An extra cleaning team has also been brought in to help sanitize public spaces onboard. Grandeur of the Seas is scheduled to depart its home port in Baltimore at 6:00 pm local time and the cruise is expected to call at all ports as normal. The cruise line has also given a letter to all guests boarding the ship asking if they have had any Gastrointestinal symptoms recently. The cause is possible Norovirus which is a popular sickness that can spread on cruise ships and on land. At the moment there seems to be an increase in ships getting the virus as 8 cruise voyages have all ready had the illness including this one. This month alone there has already been 3 outbreaks.